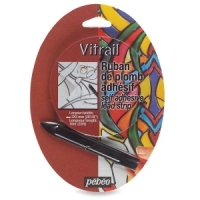 Ideal for use with Pebeo Vitrail Paint, Pebeo Self-Adhesive Lead Strip lets you simulate the look of stained glass quickly and easily. Apply this material to smooth, degreased surfaces including glass, Plexiglas, metal, and ceramic. 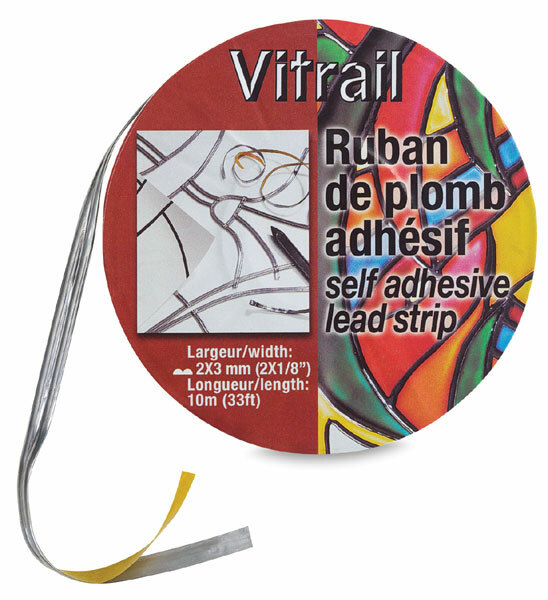 It comes in a 6 mm wide strip that can be separated into two pieces. After forming the shapes and patterns you desire, just apply pressure with the included tool to ensure proper adhesion. The total length of the strip is 33 ft (10 m). Note— For decorative purposes only. This product is not oven or microwave safe.